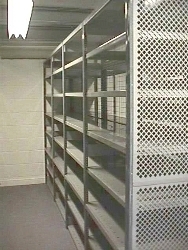 Dexion Industrial Shelving ranges from quick to erect frame and shelf systems like HI-280, to the traditional super strong Dexion Slotted Angle bolted shelving. Hi-280 Erects quickly and easily, making a strong rigid structure in minutes. 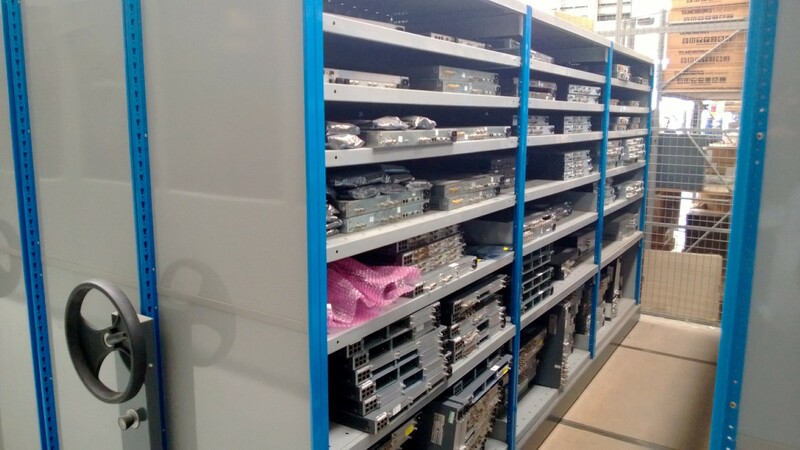 With an enormous range of useful accessories such as shelf dividers, lockable doors and pull out drawers, this system can accommodate most industrial applications. The pre-galvanised finish makes the shelving durable and gives a smart modern finish. 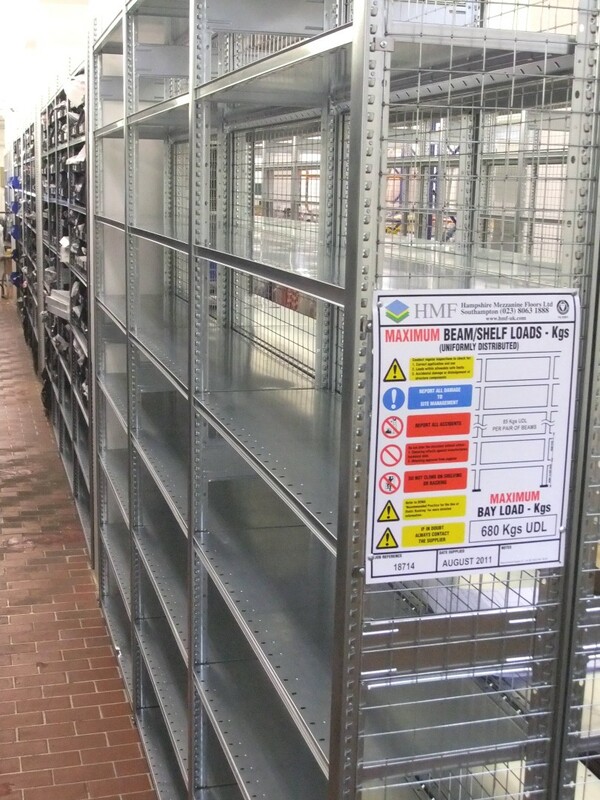 Dexion Impex Shelving has probably been the Uk’s most popular Heavy Duty shelving system, and HMF stock additional shelves and frames enabling you to extend your existing Dexion Impex installations. 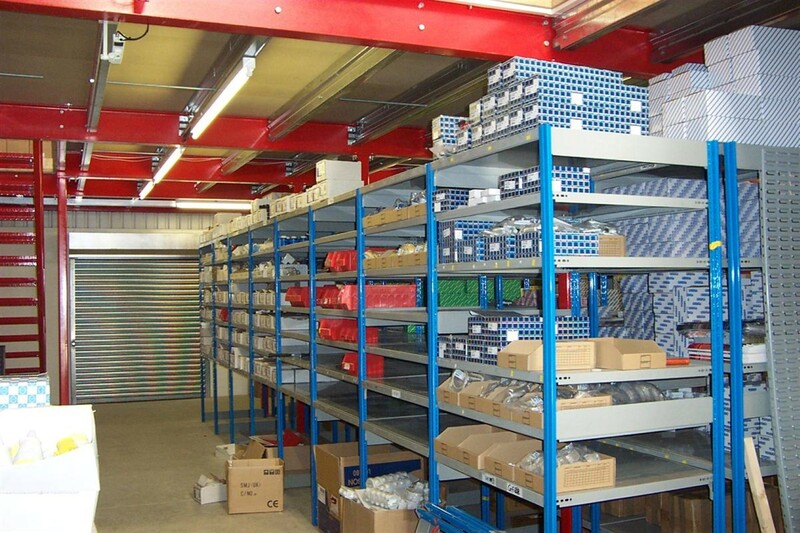 With large stocks of Slotted Angle and Dexion Shelves, Hampshire Mezzanine Floors can provide a quick delivery and erection service for all your shelving requirements.